Running in Bordeuax, France. 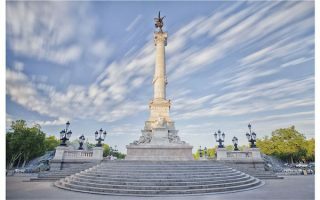 Best routes and places to run in Bordeaux. Bordeaux is the 6th largest city in France and the center of an important wine-producing region. The historic part of the city is a UNESCO World Heritage site and boasts the largest number of preserved buildings historical buildings in France after Paris. 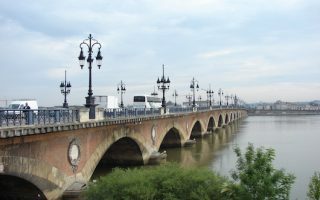 The centerpiece of running in Bordeaux is along the the Garonne River, which divides the city, with historic ‘Old Bordeaux’ located on the ‘left bank’ (west side). 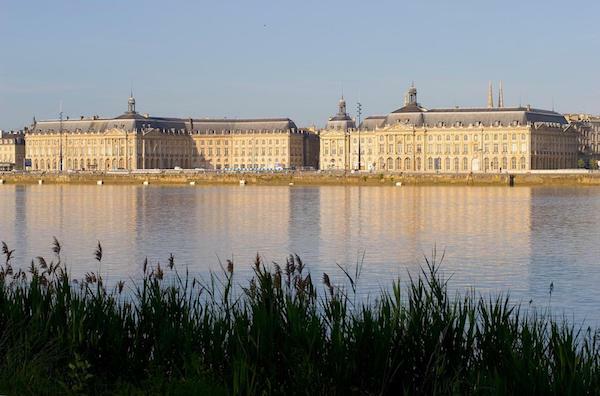 The signature run in Bordeaux is along a series of paths and parks fronting the Garonne River. We’ve also put together several ‘runseeing’ tours of historic Bordeaux. 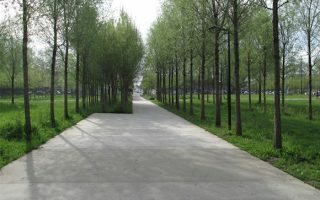 The city also contains numerous parks and gardens, which are also enjoyable for running. Bordeaux has a good public transport system, called the TBM, with a sleek 3-line tram system and an extensive bus network. Pleasant run on the eastern side of the Garonne, on the Quai des Queyries to Parc aux Angéliques. Nice waterside and park running. Fun to incorporate the Botanical Gardens. Can also add the western side of the river, using Pont de Pierre. A 6.7 'runseeing' tour of some of Bordeaux's historic and cultural highlights! Includes the longest 'pedestrian mall' in Europe, City Hall, Cathédrale Saint-André de Bordeaux, numerous museums, public gardens, Girondins Monument. Two good alternative 'runseeing' tours, put together by the Bordeaux office of Tourism. A staightforward Old Bordeaux tour, and a UNESCO Heritage Tour past some 16 key sites. Our recommendations for some good areas and streets for running in central Bordeaux, mainly on the Left Bank. 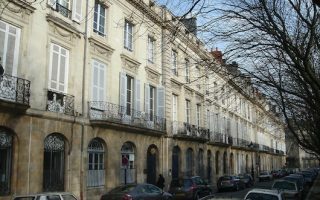 Wide, historic boulevards and fun neighborhoods to create your own run, or as good add-ons to our other Bordeaux routes. 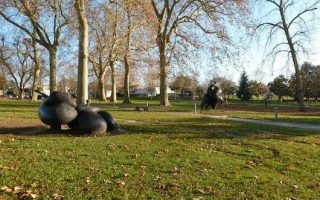 This 7 km run explores three lovely parks centrally located on the left bank of the Garonne River in central Bordeaux: Jardin Public, Parc Bordelais, and the smaller Parc Rivière. 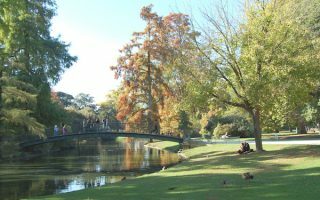 A nice exploration of the 'Right Bank' area of Bordeaux, the highlight being the paths of Cypressat Park and Palmer Park. Some hills, paths, stairs, and a nice section along the Garonne River as well. A pleasant pastoral run in the Floriac area. 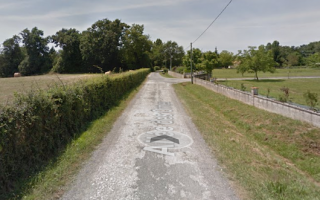 Domaine de La Burthe Park has paths through woods and past playing fields, then use a pedestrian overpass to cross the N230 into Les Ormes and enjoy quiet roads past farms. Bordeaux has a pleasant climate, consisting of warm summers and mild to cool winters. Average high temperatures in summer are in the 26C (80F) range, with nights that can cool off a bit. Winters average in the 10C (50F) range during the day. Snow and ice are rare. Summers can be on the dry site, but rain is fairly plentiful through the year. 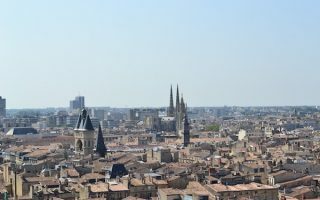 Bordeaux is a popular visitor destination, so there’s a large variety of centrally located hotels. A good number of them are in central Bordeaux, located just north of City Hall. There’s another cluster near the train station. Some are located on the right bank as well. For running purposes, try to stay east of Boulevard du Président Wilson, in order to easily access most of the best places to run in Bordeaux, notably the routes along the Garonne. RunStore Bordeaux. Great running store, centrally located. Bordeaux Strides. Running, fitness, triathlon. Involved with lots of events in Bordeaux. A2 Running. Alice and Anne, running enthusiasts and hosts, lead group runs every Tuesday and Thursday, 19H30, from the Miroir d’Eau. Good event calendar from the wonderful Foulées Bordeaux store. Bordeaux has numerous running events throughout the year. Marathon des Chateâux de Médoc. September. Famous for the marathon involving the drinking of lots of wine. “The world’s longest, booziest race”. Marathon de Bordeaux Metropole. April. One of the most famous marathons in the world celebrating running at night!